Dr. Flossie Wong-Staal, a molecular biologist and virologist,is one of the world's authorities on human immunodeficiency virus (HIV). In1983, when many researchers still did not think retroviruses played a significant role as disease agents in humans, working with colleagues in the lab of noted researcher Robert Gallo, she helped identify the retrovirus HIV as the cause of AIDS. Two years later, she became the first to clone HIV, paving the way for the first genetic map of the virus and the development of HIV blood tests. Dr. Waong-Staal now serves as chief scientific officer and an executive for itherX Pharmaceuticals, Inc., a drug development company she co-founded in San Diego. 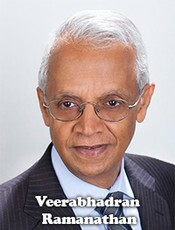 UCSD Professor Veerabhadran Ramanathan discovered thegreenhouse effect of halocarbons in 1975. Along with R. Madden, he predicted in 1980 that global warming would be detected by 2000 and in1985 led the first international NASA assessment on the climate effects of non-CO2 greenhouse gases and concluded that they are as important as CO2 to global climate change. 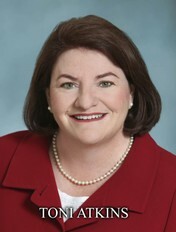 California Assembly Speaker Toni Atkins has served in theCalifornia State Assembly since 2010, and was elevated to the top leadership postin 2014, when her colleagues unanimously elected her 69th Speaker of the California Assembly. Assemblywoman Atkins is a coalition-builder who believes government policies can improve people's lives and is a leading voice for affordable housing, a powerful advocate for women, and champion for veterans and the homeless. Tina Guo has developed an international multi-faceted performance and recordingcareer as a classical cellist, heavy metal electric cellist and composer known for her distinctive sound and improvisational style in major motion picture, television, and game scores. She's been featured in commercials and was a featured soloist in Cirque Du Soleil's Michael Jackson "The Immortal" World Tour from 2011-2013, performing to sold out arenas around the world. 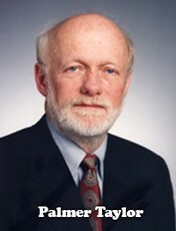 Dr. Palmer Taylor is one of the founders of the UCSD Skaggs School of Pharmacy and internationally recognized for his research recognizing how the expression ofproteins govern neurotransmission of chemical messages between cells. Dr.Taylor uncovered much of what is known about the structure of neuroligin, a synaptic adhesion molecule homologous to AChE. His structural studies on neuroligin have uncovered alterations in processing and folding associated with mutations found in the autistic spectral disorders. Dean Taylor has an exceptional record of developing the school, reaching out to various parts in the world and is the recipient of the Chevalier de la Legion d'Honneur. 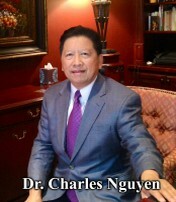 "We were rich enough to build a bunker under our house," recalls Dr. Charles Nguyen. "Typically, every morning we would come up and it would happen that the next house was gone because it was bombarded. Neighbors, gone. I still have nightmares about that." 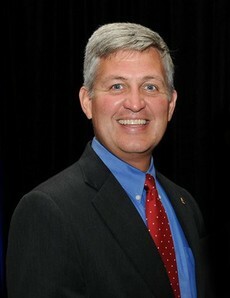 So reflects the dean of the Catholic University of America School of Engineering. 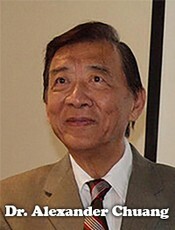 Dr. Nguyen eventually made his way to Germany to study electrical engineering, obtained a research fellowship in 1984 at NASA's Goddard Space Flight Center, and later capitalized on the opportunity to become part of a collaborative research team that developed an independent robotic arm and hand system to handle the many exacting tasks of construction in space. 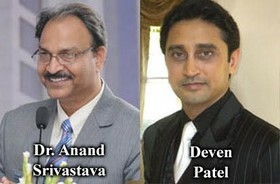 Dr. Anand Srivastava and Deven Patel are co-founders ofCalifornia-based Global Institute of Stem Cell Therapy and Research (GIOSTAR). The company was formed to provide stem cell-based therapy to those suffering from degenerative diseases such as Parkinson's, Alzheimer's, diabetes, heart disease, spinal cord injuries and blood-related disorders. The company's Regenerative Medicine program provides promise for treatments of diseases previously regarded as incurable. Dr. Srivastava is a pioneer in stem cell research and world-renowned for his work, having authored numerous articles. Under Mr. Patel's leadership, GIOSTAR has dedicated a state-of-the-art stem cell treatment hospital in Ahmedabad, India,and is planning additional facilities in China, Thailand, Dubai, thePhilippines, and several other countries. 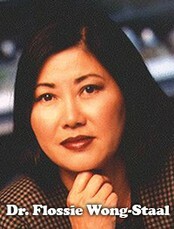 On her radio show, she talks about hope and positive life-affirming experiences, rejecting negative viewpoints that always end with “What’s wrong with people?” Instead she encourages listeners to live their lives with more joy and less stress, especially with these turbulent times, and answers the question “What is Right with People?” A true entrepreneur, Marissa Pei is also the best-selling author of two books “Organization Development and Consulting”, a regular graduate business text, and “Mommy what are Feelings”, a children´s book that her daughters illustrated when they were 5 and 7, a song writer and creator of a fashion line of pants and a line of gifts that promote her motto: Live, Love, Laugh, Learn.